This Instructable will show how to create both scripts and storyboards for movies on the program Celtx. This is what it will look when you choose to use this program. To do Story Boards click on the Film name. The first part is to put where the location is going to take place. Type Interior (Inside) or Exterior (Outside) in the first line shown on the page. Click the Enter key and it will drop down to do the action scene for the movie. Press Enter then Tab you can put the characters name in, press enter again and it do the dialogue for the character. If Enter is pressed again it do the character again but if you don't want that press Enter then Tab to go back to the action. To make the job easier you could just press Enter and use the scroll bar that says what are doing. This will provide a short list of what you could use in your script. 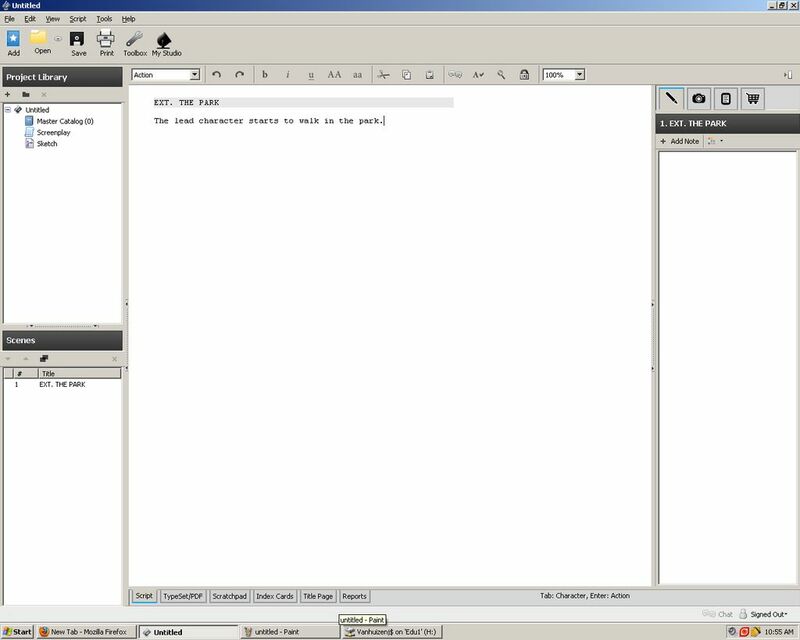 That is the basic use for the Script section is Celtx. To create a Story Board select the Storyboard Template. The page will like this, in the title selection you can put the Ext or Int like the storyboard. In the first space provided click on the arrow pointing down to select what camera angle you are going to use. You add pictures from your hardrive to put in the scene location or the action scene. Click Add Sketch to put in the selection on the camera, cast members and lights. Exit it then click save to put the sketch in the storyboard. You can add as many shots to the storyboard as you want by clicking the add shot icon. To go to the second scene click add sequence near the top and repeat the same sequence. 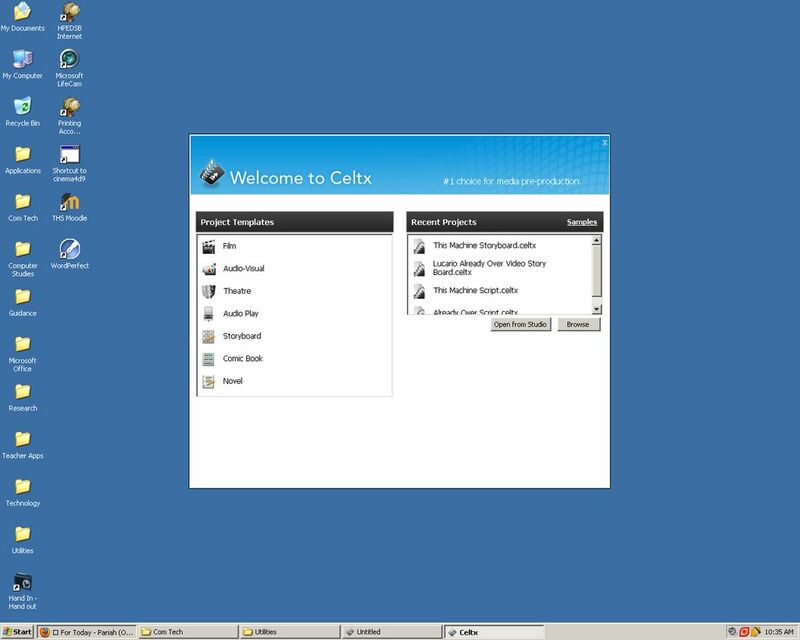 This is a simple instructable to use the program Celtx.